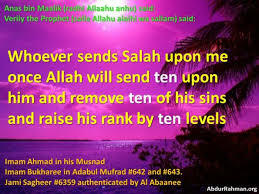 Anas ibn Malik (ra) relates that the Prophet (pbuh) said, “He who sends blessings on me once Allah sends blessings on him ten times and removes from him ten sins and raises him by ten degrees.” [al-Nasa’i]. Nabiyunna Muhammad” (Oh Allah please bless our master/ prophet Muhammad) is an easy way to earn blessings, raise your spiritual station, and grow closer to your Lord. 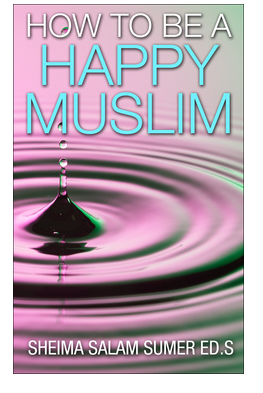 You do not need to have Wudu to perform this act of worship. Jazakallah khairan for this awesome post and it brings a smile after reading this post. Each spiritual state have specific feelings , To attain spiritual state we need to be make relation with those who having higher spiritual state. To realize every spiritual state we need to have spiritual eyes . Alhamdulillah , My shiekh having the spiritual state in which he is seeing our prophet pbuh in each meditation through spiritual vision. Even i also have many dreams of prophet pbuh.This state can attain by every Muslim . But very a few having this state. If u want to know , I’m glad to show u.